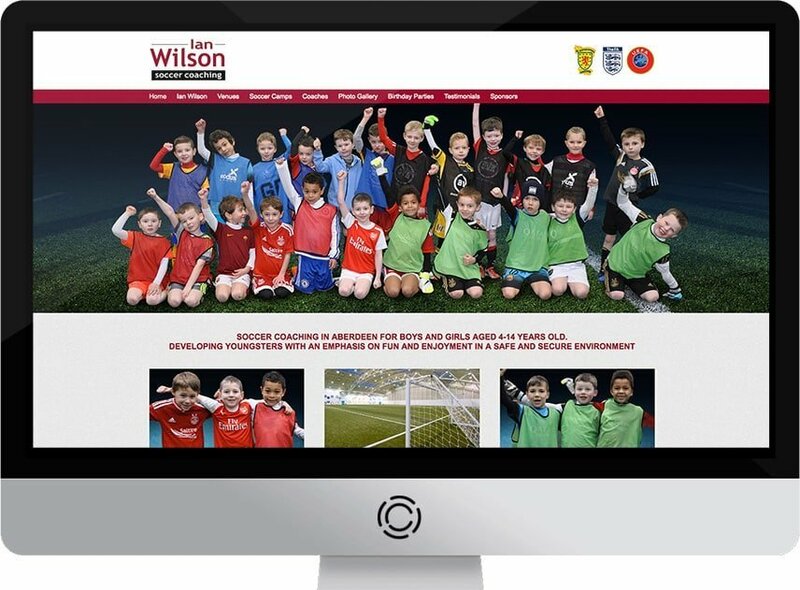 Ian Wilson Soccer Coaching provides football coaching and camps which are very popular for youngsters in Aberdeen and we helped them transform their business. Ian Wilson needed to transform their old tired site into a modern, responsive website that was appealing to its audience. They used to deal with hundreds of handwritten applications for their camps and wanted a new online solution to improve the booking experience by building a new booking system. 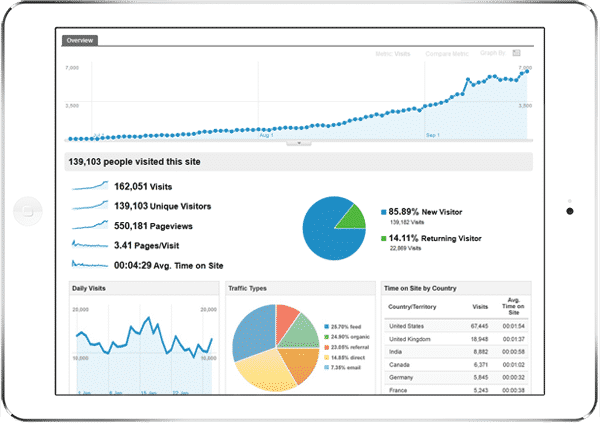 They also wanted to increase booking enquiries, increase visitors and capture leads coming into the website, so needed a SEO campaign to help increase visitors and also implement a Social Media and Email Marketing strategy to engage with their customers and promote future events. We built a responsive, modern, search engine friendly website that was appealing to their customers and also built a fully integrated booking system to make it easier for customers to book online. We also implemented a search engine optimisation campaign to get all of their main keywords in to the top positions of Google (See results below) and that has seen a huge increase in customer bookings and enquiries. We also help setup and integrated Facebook and Twitter on to the home page of the website to help engage customers with their social media which they used to promote events. We also gather leads on website and send manage monthly email marketing to help promote events. We ensured that the Ian Wilson website was responsive on all mobile devices like iphone and ipad and tested thoroughly on all devices. 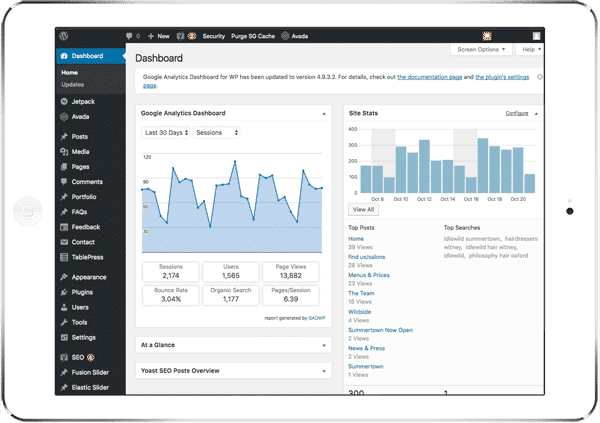 The web design is a modern, mobile friendly, widescreen format, with client branding used used throughout and easy to use navigation. We also provided the photography of youngsters on the camps to give the website some personality and make it really stand out. The client wanted to manage their camps and bookings going forward so we installed a really easy-to-use, scalable content management system that will allow them to grow their website as their business grows. 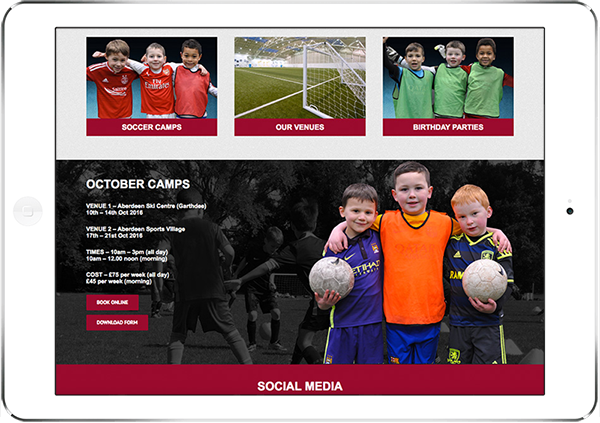 We optimised their 2 main keywords ‘football camp aberdeen’ and ‘soccer camp aberdeen’ into the top positions and the client has seen a significant increase in booking enquiries and traffic to the website.